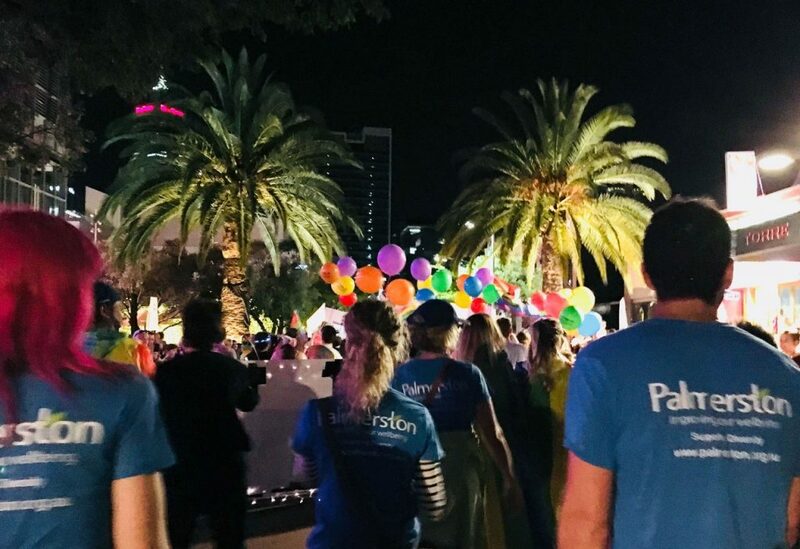 Palmerston Association celebrates diversity and the strength and resilience of LGBTIQA+ communities. We are committed to providing equal access and excellent service to all people. As a minimum, all Palmerston staff attend professional development training such as Opening Closets with Living Proud. Although the majority of LGBTQIA+ people lead happy, healthy and fulfilling lives, many experience mental health and alcohol and other drug problems. Studies have shown that compared to their heterosexual counterparts, people from the LGBTIQA+ communities face significantly higher rates of abuse, violence, prejudice and discrimination. These experiences may contribute to the lifetime risk of developing mental health and alcohol and other drug problems. If you identify as a member of the LGBTIQA+ community and would like to talk to someone about your use of alcohol and/or other drugs, please contact one of our services. We also offer support if you are worried or affected in some way by someone else’s use. No matter how you identify your gender and sexuality, Palmerston is committed to providing a safe and non-judgemental environment for you to discuss the issues you would like to talk about and to support you to make the changes you want.